Take your embroidery stitches to the next level by working in wool, embellishing crazy quilt squares. The easy-to-use templates allow your creativity to show. 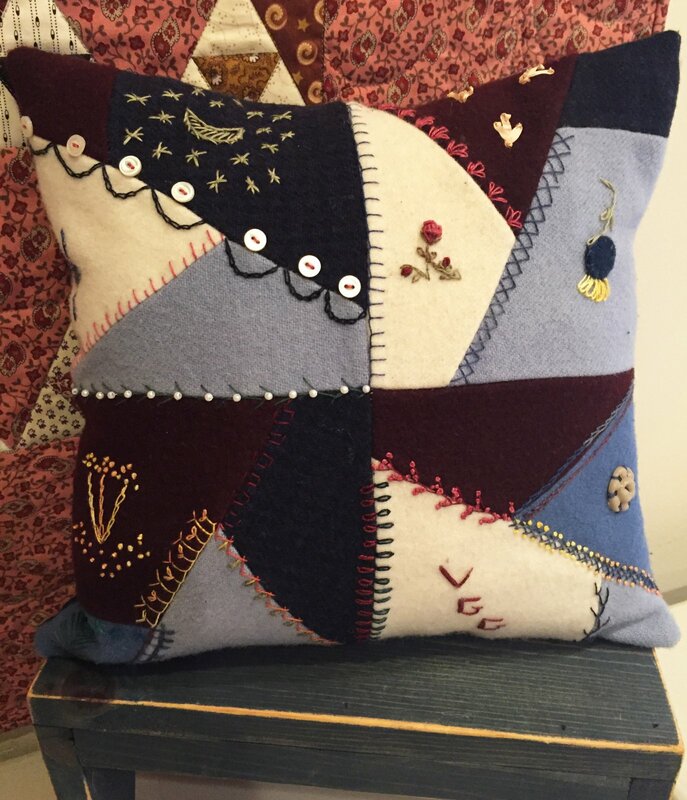 The class sample is a pillow, but you can design your own creation.